Please Note: Information posted on this web site should not be considered medical or nutritional advice, nor is it intended to replace consultation with a qualified physician or nutritionist. Content is for general informational purposes only and any copyrighted materials with be removed immediately if requested by the rightful copyright owners. 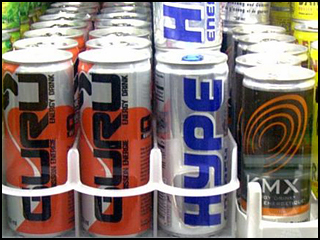 EnergySip.com does not endorse or recommend any particular energy drink, beverage product, or ingredient. Links to other web sites found on EnergySip.com are provided as a service to our users. Such linkage does not constitute endorsement of the site by EnergySip.com, and EnergySip.com is not responsible for the content of external web sites to which it links.